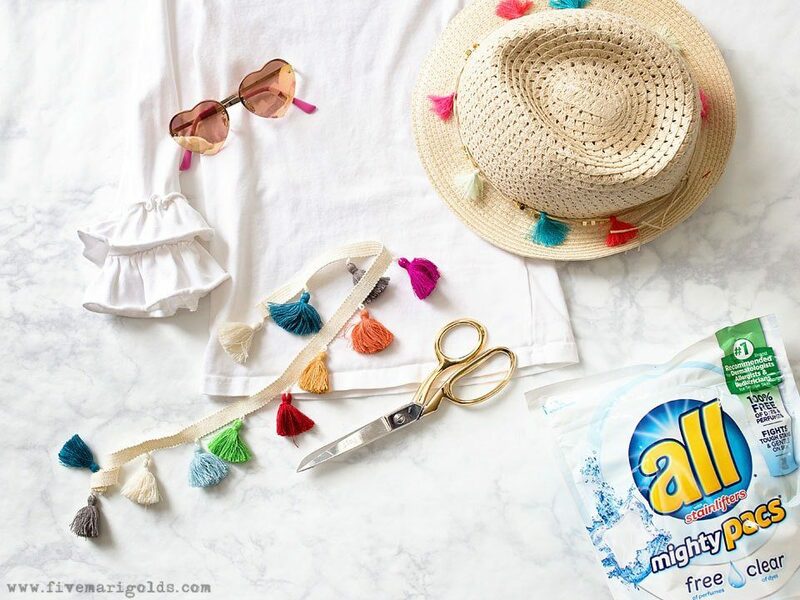 Today I’m sharing a simple hack for transforming a shirt from winter drab to summer fab. 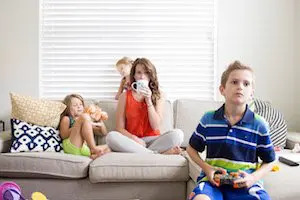 This no-sew project is super easy and makes a huge impact – in just minutes! The idea started when I was sorting my youngest daughter’s clothing. I was choosing clothes to sell, donate and store until next season. I do this frequently, because most of her clothing is hand-me-downs. You see, by the time clothes land in Belle’s closet, they’ve been pre-loved for at least 1-2 seasons by her big sister. Then, they get another 1-2 years of use by Belle. Fortunately, their clothing holds up remarkably well. Our whole family has been using all® free clear Mighty Pacs® for years, because both of the girls have sensitive skin. 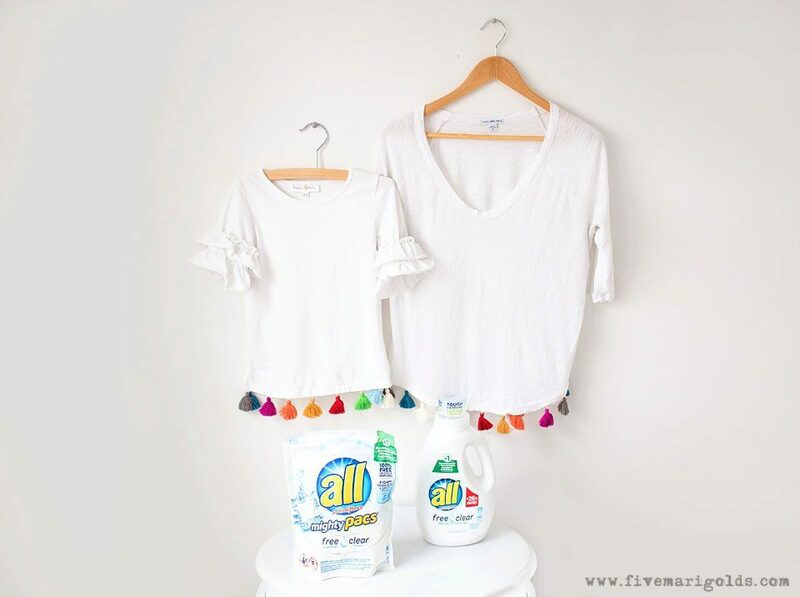 Not only is all® free clear gentle on our clothes, but it’s also 100% free of perfumes & dyes, which is important for my girls. So, while all of Belle’s clothes are like new to hear, I decided I wanted to take one of her well-loved tees in great condition, and make it new and special to her. If you’ve followed my blog for awhile, you know I just love a good refashion! Whether, it’s taking an old thrifted dress from Gram to Glam, or turning outgrown shirts into an adorable dress – I love making custom pieces out of old gems. So in that spirit, while I was at it, I also decided to give the same special treatment to one of my favorite old tees. So many of these tassel trim tops in stores are only sold in cropped style. I don’t know about you, but this mama does not, and most certainly should not, do crop tops. Noooo, thank you. 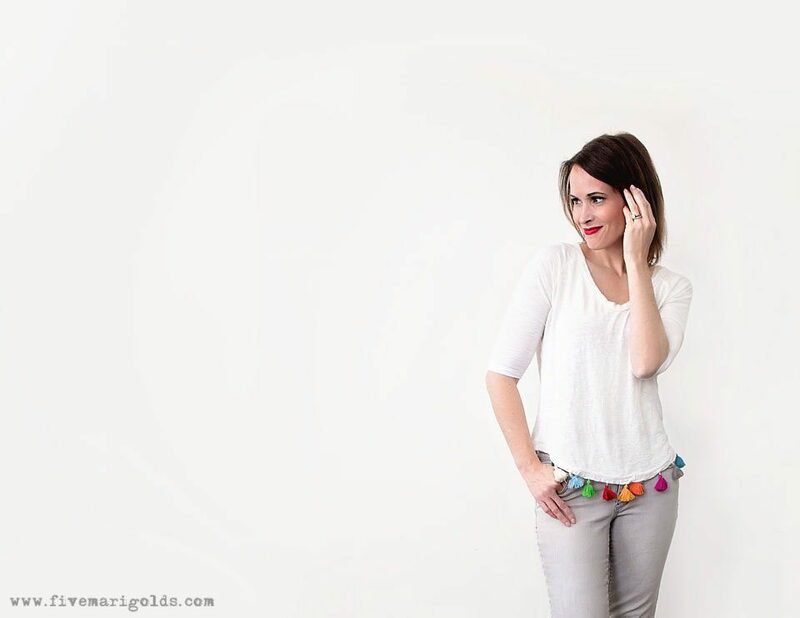 By refashioning our own tops, we get the best of the current styles and the favorite look of our tried and true tees. 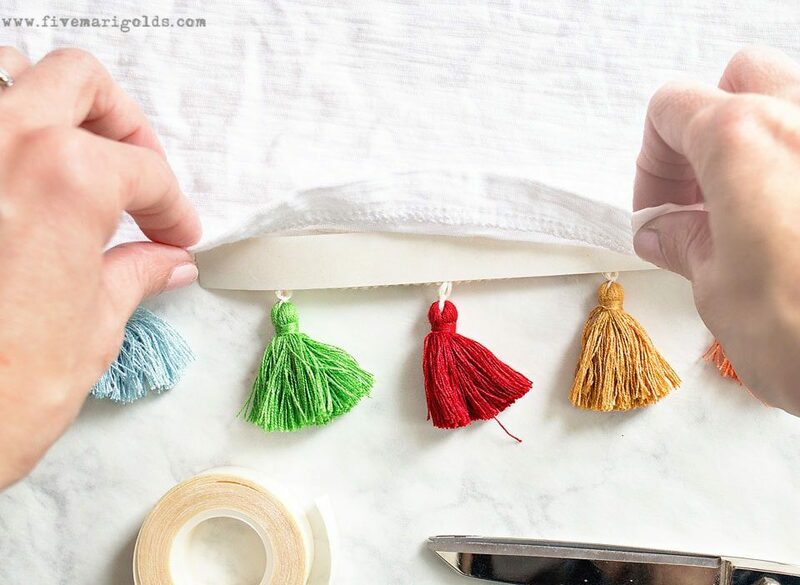 I started with some cute tassel trim I got at the hobby store. I cut the trim to fit the hem of each top, and placed the sticky side of the bonding tape to the tassel trim. Then, I matched it up with the wrong side of my shirt hem, peeled the paper from the bonding tape, and stuck it to the shirt hem. I then ironed it to activate the bonding agent. We’re talking 5 minutes, and BAM! Instant gratification! 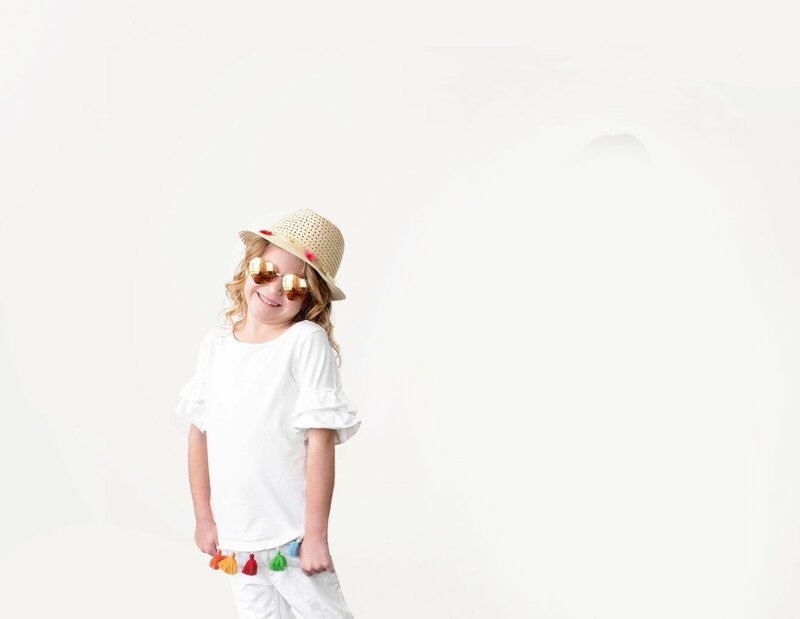 And in microfashion news…I bring you Instant summer fashion on the cheap. 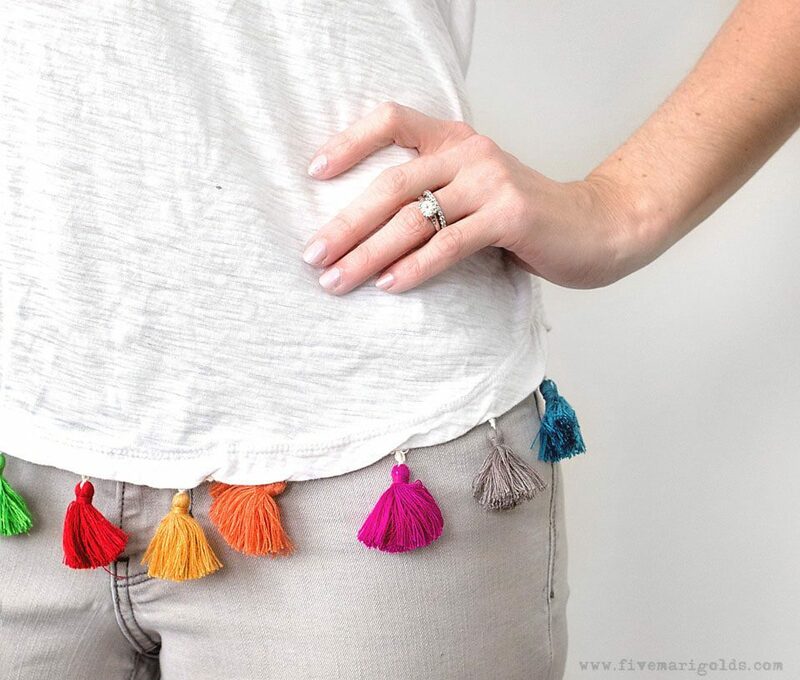 What I love about this DIY no-sew tassel tee is that not only is is budget-friendly, but you can’t beat the fit of your favorite, broken-in tee. And, I’ve gotta admit…I love being twinsies with my mini. 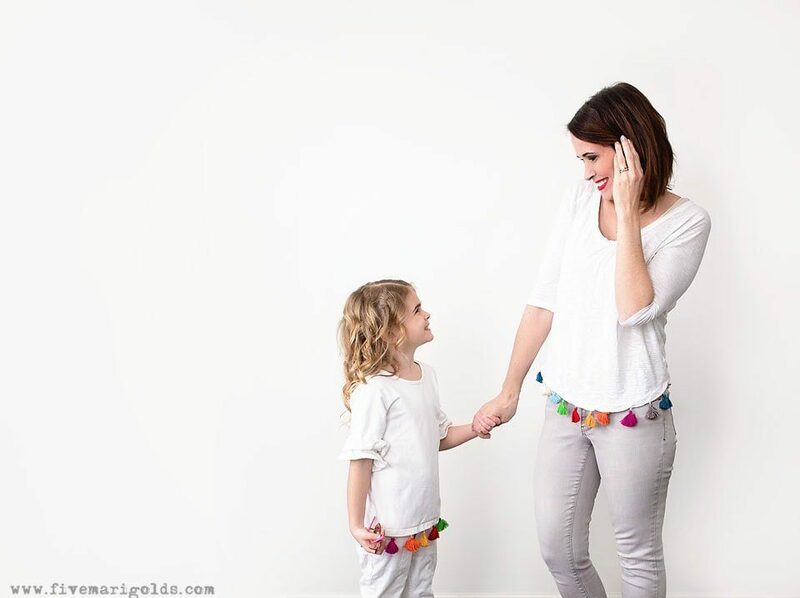 What do you think of my DIY no-sew tassel tee project? If you’re a fan, I’d love to hear about it in the comments below! 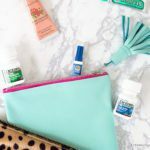 If you want to check out more projects like this one, you’ll love my Trash To Treasure Dress Upcycle, Upcycled T-shirt Dress, and 15 minute clutch tutorials. 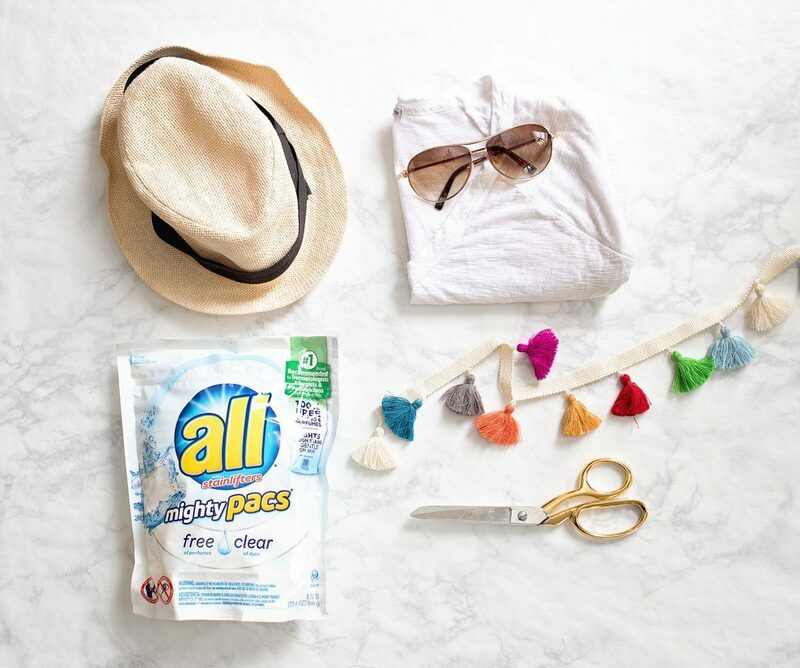 If I’ve sold you on all® free clear, you can get all® free clear Mighty Pacs® and Liquid Detergent at your local Target store. If you already use it, you can probably feel why it’s the #1 Recommended Detergent by Dermatologists, Allergists, and Pediatricians for sensitive skin. Learn all about it, as well as find more great ideas like this one, here.